Our romantic relationships take up a great deal of our time and energy. They can bring us great joy and great frustration (and sometimes both at the same time). Even though each relationship is a new and different experience we can find ourselves falling into the same patterns. Some repeat themselves from relationship to relationship, whilst others keep repeating themselves inside the same relationship. In this interview with Alina Frank we talk about how we can identify these patterns and how they were created. We also spend time looking at how we can use tapping/EFT to clear the negative patterns in our current relationships and those of repeating the same type of negative relationship experiences. 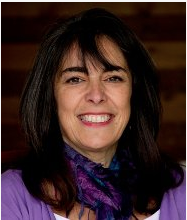 About Alina: Alina Frank is a highly sought after international EFT and Matrix Reimprinting trainer. Her trainings provide continuing education credits for many healing arts professionals including social workers and massage therapists. Along with her husband, Dr. Craig Weiner, Alina Frank runs the EFT MBA program which focuses on business and marketing skills for new or struggling EFT coaches. Through their annual tapping conference in the Pacific NW they’ve raised thousands of dollars for continuing EFT research. How have you used tapping to improve your relationships? What patterns do you see yourself falling into in relationships? Click here to add your own thoughts and comments or read what others have to say. I would really love to hear what you think!